GO HOME HARVEY! HELP FAMILIES NOW. Buy a T-shirt & help those hit by Harvey! All funds raised will go directly to The MAD GIRLS INC .
By buying and wearing this t-shirt you are helping promote our cause! Thank you! 100% of the net proceeds will go to help those in need in Houston and the surrounding area. Hurricane Harvey devastated hearts and homes of thousands. We are on the ground helping and you can help too! https://www.facebook.com/themadgirls We are The M.A.D. Girls...our mission is to HELP. Period. I'm Jodi Jackson and am experiencing Hurricane Harvey right now with millions of others. Right now, I'm one of the few lucky ones who is dry. But people are losing EVERYTHING. Shelters are to capacity. Friends are hunkered down on their 2nd floor with no power. Refrigerators are floating. Trees are falling. People are being rescued. It is truly unbelievable. THIS. CITY. IS. UNDER. WATER. In February, Nichet, Jordin, and I were in Houston for the annual Jordin Sparks Experience during Super Bowl week where we partnered with local organizations to make a difference in the community. And we did. We forged relationships with some amazing local people and charities and want to do it again. We want to help. And we will help. If we don't raise a dime, we will still help. We are on the ground and willing to get our hands dirty. We are tiny but MIGHTY and we WILL make an impact on behalf of all of YOU. And not just now, but for the long haul. This is my city. We will be hurting and rebuilding physically and emotionally for years to come. We are ready to dig in and stay and make a positive impact for the coming weeks, months, and years. 100% of your donations will go directly to help as many as we can during and after this catastrophic event and we will show you exactly what we are doing with it. We are already identifying families that we can help right now. But believe me...there will be needs for a LONG time. We are preparing a crew to help cleanup and rebuild in the aftermath. 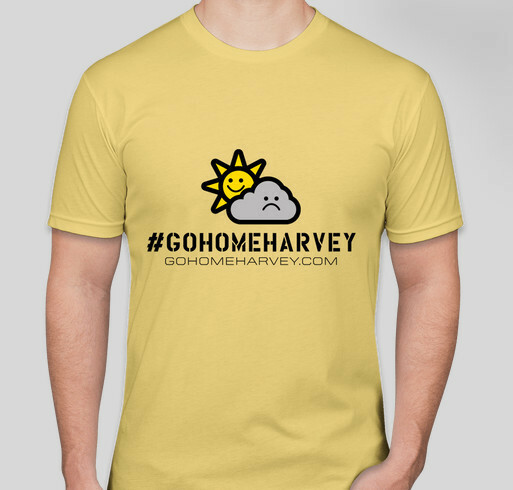 Share Why You Support "GO HOME HARVEY! HELP FAMILIES NOW."